Social media is such an enormous part of modern day society that it was all-but-inevitable that we were going to begin getting unconventionally shot films made up entirely of different social media platforms. Leave it to Blumhouse Productions to actually do it right too. 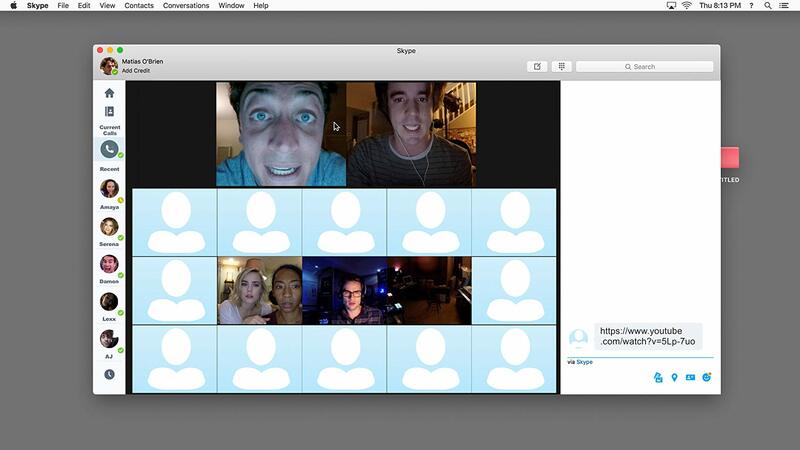 In 2015, with a measly one million dollar budget, Unfriended was released in theaters and by the end of it’s run it had made SIXTY FOUR MILLION DOLLARS worldwide. Talk about a return on investment. Nobody does it better than Blumhouse, and with a return like that, it’s even more inevitable that the studio would be looking to cash in on another. I mean, why shouldn’t they? 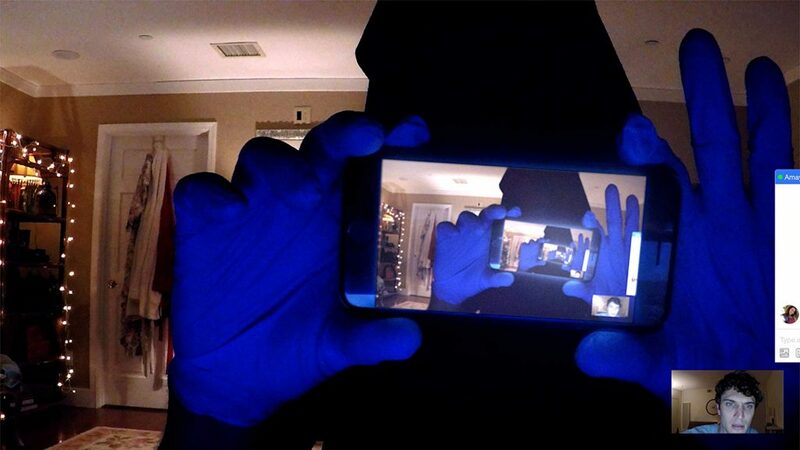 So here we are in 2018 with Unfriended: The Dark Web, a stand-alone sequel, meaning the first film isn’t necessary before viewing. Screenwriter and first time director, Stephen Susco (The Grudge 1 & 2) brings us the story of six college-aged friends hosting a game night over Skype. Things go awry, however, when Matias (Colin Woodell) discovers some disturbing content hidden on what turns out to be a stolen laptop and things only get worse as he travels down the rabbit-hole of the dark web, risking the lives of everyone involved. For those of you who don’t know what the dark web is (and I barely do), it’s a small fraction of the deep web – a unlisted, unindexed network of peer-to-peer communities that can’t be traced by search engines and regularly affiliated with black market selling amongst other unspeakable things. That being said, it shouldn’t be surprising that what Matias finds on his newly acquired PC isn’t for the faint of heart, and what’s worse – they know he has it. The acting isn’t too great here, but perhaps that could be by virtue of the medium in which we’re watching these characters interact. Only two of our main characters are ever face to face in this film and it’s because they’re engaged and living together. Though to be honest, I did feel for the most part that these six friends were close and that helps raise the stakes when tension is running higher and higher as the movie progresses to it’s insane finale. What baffles me about this movie (much like it did for the awful Friend Request last year), is that it’s rated R. I’m repeating myself by mentioning it here, but I feel like excluding the vast teenage audience who spends more time on social media than anyone is a huge opportunity loss. On top of that, even with the R-rating it still felt like a PG-13 film. No boundaries were pushed or anything to justify its rating. 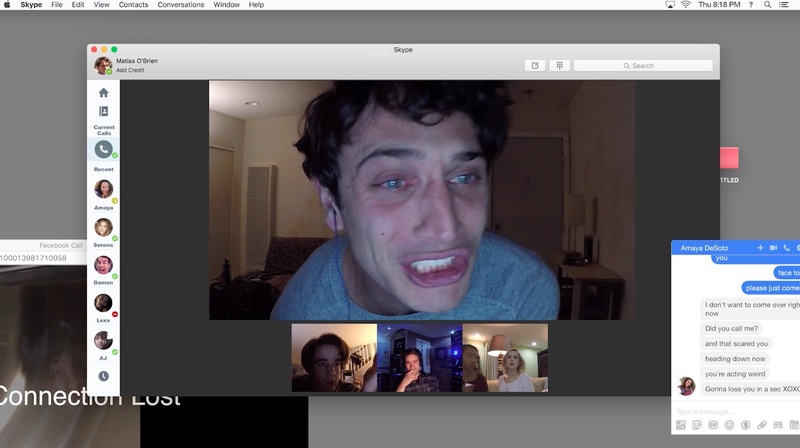 In the end, I was ultimately surprised by Unfriended: The Dark Web. Despite its unconventional narrative and questionable acting at times, it still delivers just enough to keep the viewer guessing as to what’s going to happen next and how these characters are going to get out of the most terrifying, adrenaline inducing game night that they’ve ever had.